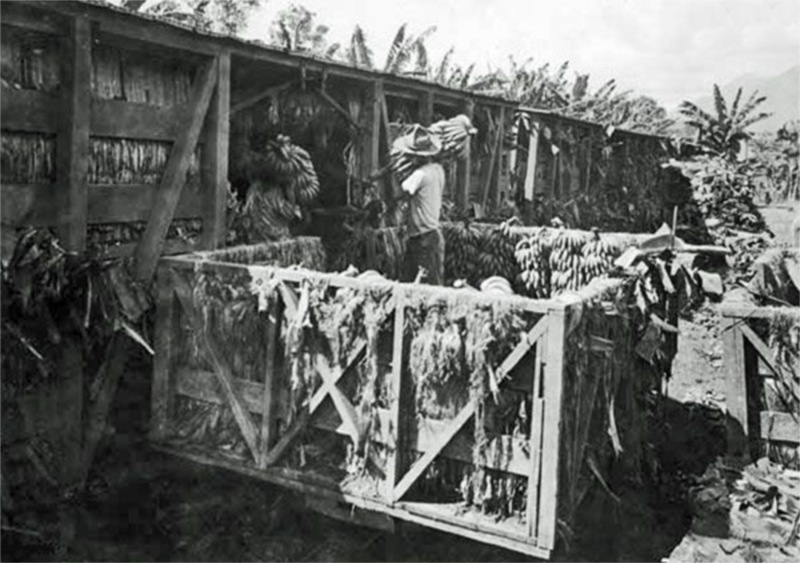 A United Fruit Company banana plantation Middlesex circa 1912. Loading Banana's on Train, Stann Creek Valley 1900's, the Macaroni Hills in the background. Collecting Banana’s in the 1930's by then then a road had replaced the railway. Edible bananas are native to the tropical regions of South East Asia. They were first introduced to the Caribbean Islands early in the period of Spanish colonization. These bananas were much smaller than the large banana bunches we grow on plantations today. 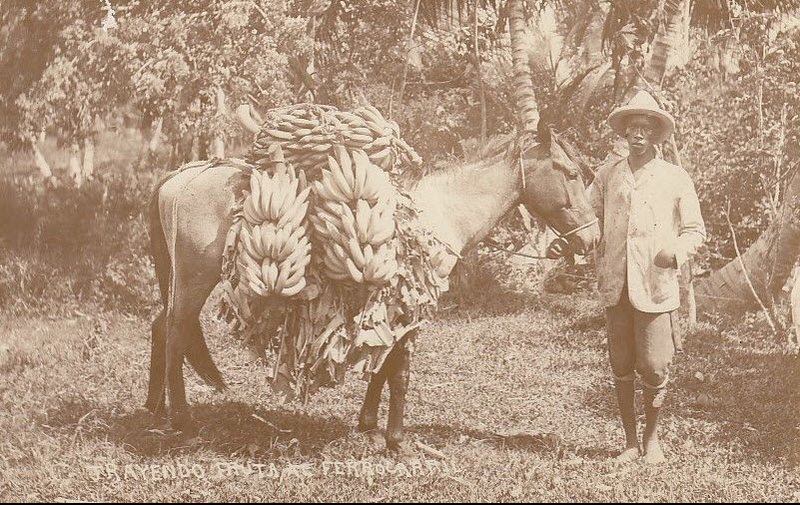 Harry S. Pariser in his book (Explore Belize, 1997) wrote that it was the American Confederates were the first to grow banana's in their settlements in the south of British Honduras in the 1860's. 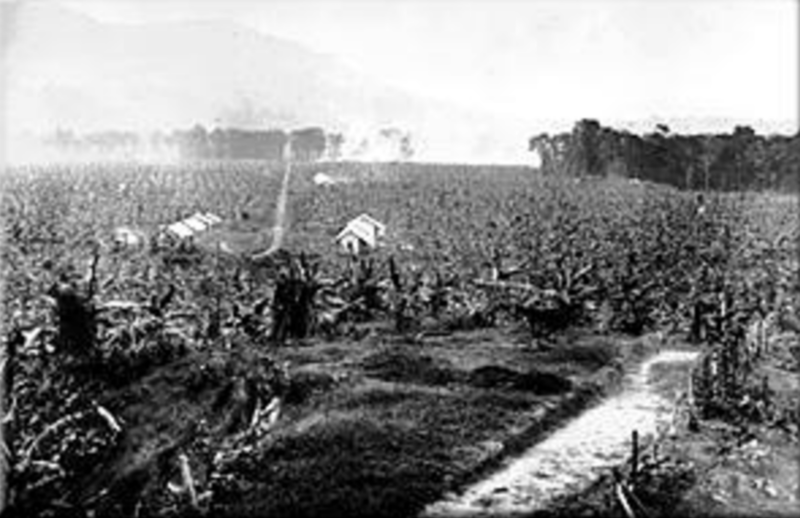 More banana plantations were started shortly after by the British. In Spanish speaking Central America, bananas were first grown commercially in Costa Rica by American entrepreneur, Minor C. Keith in the 1870's. He expanded his production into Guatemala and Honduras and in 1889 merged his business with the Boston Fruit Company to form the United Fruit Company. This company would expand into Middlesex, Belize in 1909 and had monopoly over the Central American banana industry until the 1950's. and the Walize Fruit Company based in Monkey River. By 1890, there were five (5) banana companies chartered in the colony as both fruit producers and shipping agents for bananas grown on independent farms. The prosperity of the Stann Creek Valley was founded on bananas. The industry was moved into the Stann Creek Valley by a company called the British Honduras Syndicate in the late 1880’s. They were a company from England and amalgamated the existing banana farms around Mullins and Manatee Rivers. They grew the Gros Michele variety of banana. The British Honduras Syndicate, cultivated bananas on a 14,301 acre estate nine miles inland from Stann Creek Town (now Dangriga). 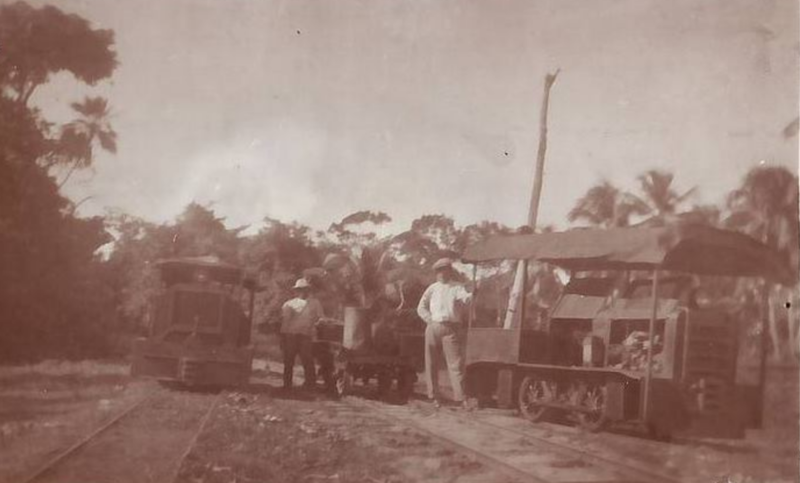 In 1892, the British Honduras Syndicate constructed a two feet gauge mule driven tramway from its headquarters at Melinda to the Stann Creek Town pier on the north side of Dangriga, to take the bananas to be sold in Mobile, Alabama. The influx of people and activity led to the area becoming a town called Stann Creek Town in 1895, and eighty years later in 1975 the name was changed to Dangriga. Another big investor in the banana industry of Belize was the United Fruit Company. In 1909, an agreement between the colonial government and the United Fruit Company, gave the company the option to purchase 7,538 acres of Stann Creek Valley land at the then Middlesex Forest Reserve at one dollar an acre to plant bananas. This company cleared 2,500 acres of land for bananas. The government agreed to provide a rail transport system from the Valley to the wharf in Stann Creek Town, which it did. By 1917 the Stann Creek Valley and surrounding area was producing over 25,000 stems of bananas a week, equal to over 100,000 boxes. 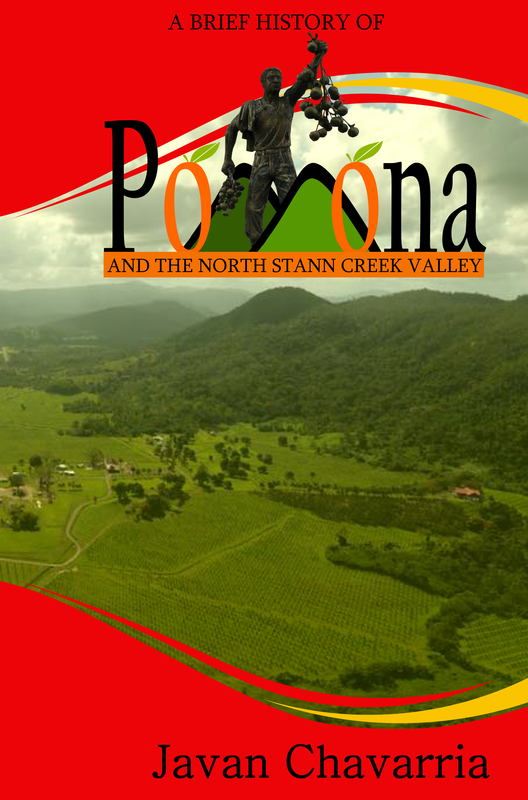 In the 1920’s most of the Stann Creek Valley was planted with bananas. The decline in banana production started in 1917, a year after the Panama Disease was detected in 1916, the industry collapsed soon after. To combat the disease banana planting spread further up the valley in search of disease free lands but in 1937 the ravages of Panama disease and Cercospora leaf spot finally killed the industry. 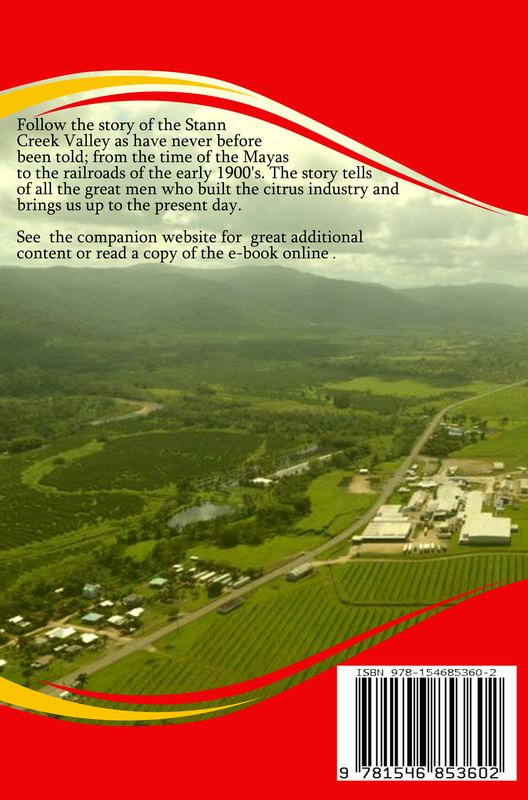 In 1947, at the site of the present day citrus factory at Alta Vista there was an attempt to revive the banana industry by British Honduras Fruit Enterprises Company. They grew the Robosta type banana and brought production up to about 5,000 stems weekly. These were shipped from the Commerce Bight Pier. After a few years another disease struck the industry this time it was nematodes. It was during these years that the government completed the road on the south side of the North Stann Creek River connecting Alta Vista to Canada Hill. Previously the road only went up to the Canada Hill cassava factory. In the early 1960’s a firm from Mobile Alabama, Greene & Atkins, began experimenting with a type of disease resistant banana in Waha Leaf area of the Stann Creek District. In the beginning, the company had various problems, one of which was that small farmers were planting a type of banana’s which was not disease-resistant, and this resulted in the infection of the other varieties. The colonial government had to step in to keep a tight control to prevent non-resistant varieties. By 1965 Greene & Atkins had made great strides in production. In 1966, two other banana growing firms, Caribbean Empire Company Limited and Gulf American Company went into operation. The Gulf of America Company proposed to cultivate bananas for the export market from their 500-acre farm established on the Sibun River branching off from the Western Highway starting at Mile 35. ​The banana industry was reconstituted in 1975 around the Mayan King Area, with the formation of a Banana Control Board. This was followed by the Banana Growers Association which now manages the industry. There are still banana trenches that can be found in the citrus orchards of the Stann Creek Valley to this day, depicting a time of when banana was planted in the area. Shortly after the collapse of the banana industry most lands that were not planted with citrus were abandoned and retaken by the jungle, between the 1930’s to early 1980’s during of the expansion of the citrus industry, persons could just settle a piece of available land in the Valley that had been reclaimed by the jungle and cultivate it with citrus. Did you know? 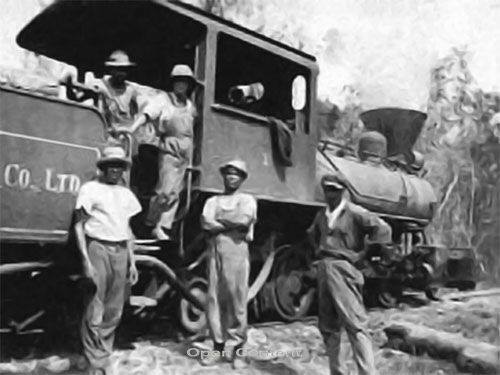 Most of the Jamaicans who came to construct the Stann Creek Railway remained in the Valley. They were leased land by the United Fruit Company (Western Land Syndicate who had their head quarters at Mile 21) to plant bananas in the late 1920's and early 1930's. They assisted the Sharp's in planting citrus. Taking banana's by horse to the railway 1930. Grapefruit was pulled by oxen and carts. Did you know? 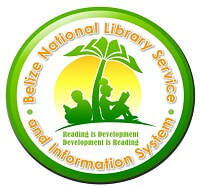 Banana was the major reason for the four towns that existed in the South of Belize. Mullins River became a town in the mid 1880's to 1943. On August 8, 1891, Monkey River was declared a town and lost this status in 1981. Shortly after on January 21,1895 Punta Gorda was declared a town. Stann Creek Town became the final southern town on 15th February 1895, it was the second largest population center in the country for some time.